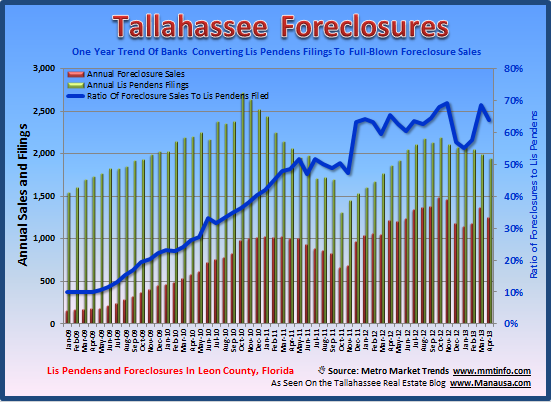 New lis pendens filings in Tallahassee fell 21% in April when compared to April 2012, and foreclosures fell 55%. The decline in new lis pendens filings is a continued relief, and it is the third declining month in a row. The 97 foreclosures that occurred in April is far less than the 251 that were recorded last month! Both these declines are great news, but we are far from the finish line in this housing market recovery.